Efficiently resaw cants and boards, recover valuable lumber from slabs, produce cladding and more with Wood-Mizer's horizontal band resaws. 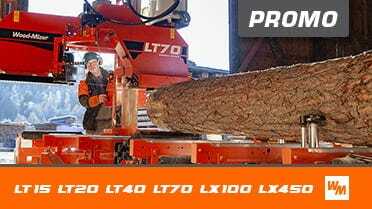 Single Head Horizontal Resaws fit into existing production environments and can maximize your sawmill production. The SHS Single Horizontal Saw removes the third slab from the bottom of the log when used in a production line with the TVS.